Hello, readers. It is with great sadness that I must inform you that this is will be the last post for the foreseeable future. New opportunities have arisen that will require a great deal of my energies and attention if I am to take full advantage of them. I thank you for all of your support. I hope that you have enjoyed visiting this site as much as I’ve enjoyed creating it. Special thanks the many writers who have contributed their talents to the Grimm Report over the years. I’ll be keeping the site up so that you can check out their work, and encourage you to do so. Local authorities are still warning people to stay away from the site of a suspicious death. In addition to the body of Icarus (age 18), the only clues recovered were a pile of melted wax and feathers, and the rambling statement of one Daedalus, an older man who was found near the scene. He is now being held as a Person of Interest in the death. “I told him not to do it,” said Daedalus, speaking to the media from a podium in front of the courthouse after the hearing. He explained that both he and his son were flying with the homemade wings, and that the death was a tragic accident. “I said, don’t fly too low because the damp sea air will loosen the feathers. And not too high because the sun will melt the wax. Poor sweet Icarus! Couldn’t follow the most basic instructions!” Daedalus then broke down into tears borne of equal parts rage and grief. The Bremen Town Battle of the Bands Contest came to an unexpected end yesterday. The popular contest traditionally attracts a lot of talent, from unknown locals to established acts that travel quite a ways to compete. But this year’s contest wasn’t like the others. Most of the bands arrived early for set up and sound check, and the showrunners expected well over twenty acts to play during the afternoon. Sharp eyed citizens (or those haunted by seven-years’-dead business partners) caught a special holiday sight yesterday at the local mall. The Ghost of Christmas Present returned! Yes, the massive, jolly, be-robed spirit once again walked amongst the populace, strolling in and out of the cheerfully decorated stores, from the Williams-Sonoma to the Eddie Bauer, from one anchor department store to the other. Less noticeable were his two companions, an emaciated young boy and girl who even the cheeriest shoppers didn’t seem to see. LAS VEGAS, NV–In a shocking turn of events, the Nevada Gaming Commission has vacated the results of the infamous Tortoise vs. Hare race. The gaming commission, following an extensive investigation, has determined the results to have been unduly influenced by outside manipulation. “Our suspicions were first piqued by the fact that hares tend to be very quick animals, while tortoises tend to be extremely slow animals, almost painfully so. Have you ever found yourself stuck in line at the supermarket behind a tortoise? It’s just a nightmare,” the gaming commissioner said. 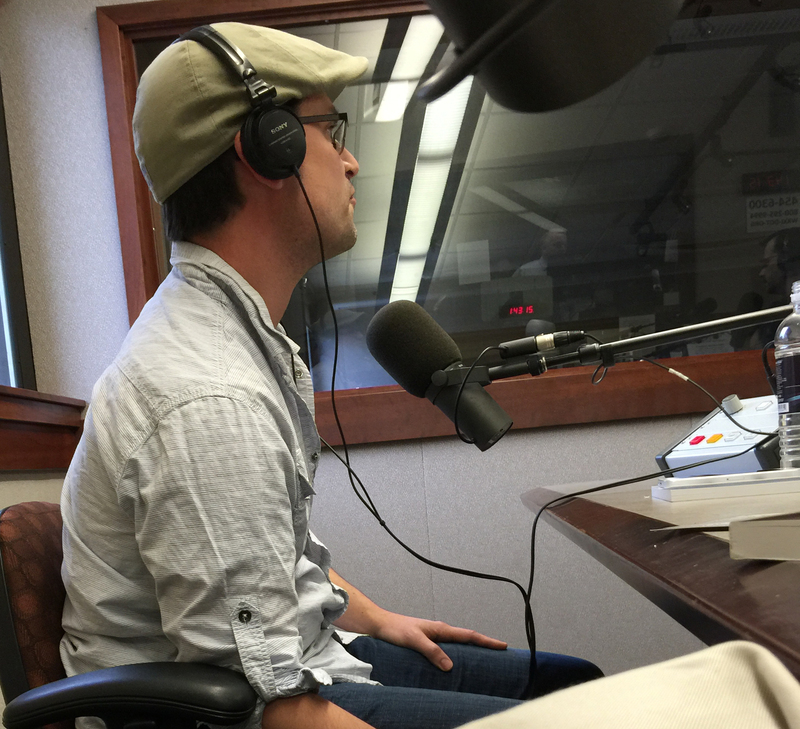 Author, Eric Wilder (that’s me), was part of a panel discussion on NPR’s Rochester affiliate WXXI. What words of wisdom did he bestow upon the listening public? Click the link and find for yourself! Let him know where he got it wrong in the comments section below. Cheers! And how. Iceland is one of the few countries left to host a small but mighty population of the felis-avian species–known in pop culture as gryphons. 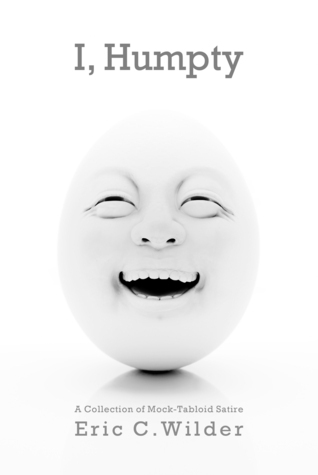 I, Humpty is now available for purchase in four different formats. You can get buy the paperback on amazon.com and barnesandnoble.com. There is a hardcover book also available. The ebook is available on amazon.com. I, Humpty is also available as an audiobook on iTunes and audible.com. You are invited to take a look, or listen… or both. Cheers!